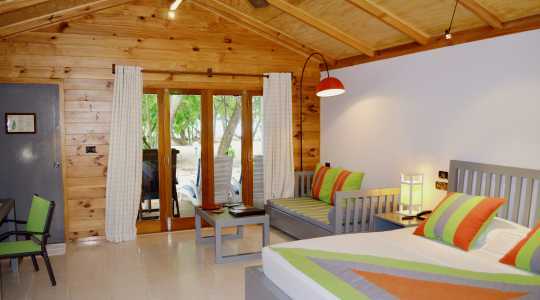 Meeru Island Resort, set on the beautiful North Male Atoll 55 minutes by speedboat from Malé, has become one of the most popular resorts of the Maldives. The spectacular views of the surrounding lagoon and the tropical delight of palm trees and exotic fauna make it easy to understand why… With its wide range of activities such as diving, discos, and sunbathing, a holiday at Meeru will appeal to all your senses. 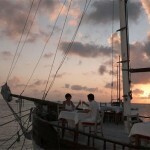 The resort is made up of 276 lovely villas including two breathtaking honeymoon suites. Located directly above the marvelous lagoon, these suites offer the ultimate luxury for your celebration of marriage. You will soak up the island’s natural beauty and enjoy peacefulness together with your loved one on your Maldives holiday at Meeru Island Resort. Offering the very best in entertainment and stunning accommodation, a stay at Meeru will be an unforgettable experience. 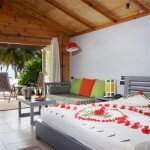 The Garden Rooms (50 sqm) are set in a U shaped block near the Farivalhu Restaurant. These villas are nicely decorated and spacious. 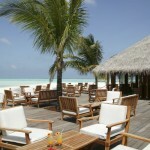 They are surrounded by foliage which adds to the tropical feeling of your Maldives holiday. 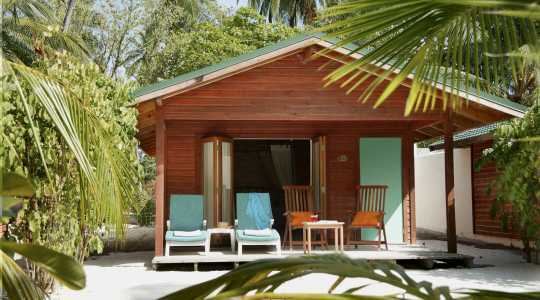 The Garden Villas include a wooden sundeck for your private use. The beautiful lagoon is only a short walk away, meaning you’re never far away from paradise. 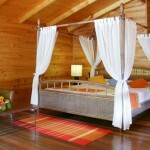 The Garden villa accommodates three adults (or two adults and two children). The Beach Villas (56 sqm) are located on the beach and offer stunning views of the Indian Ocean and the turquoise waters of the lagoon. Private deck chairs allow you to bask in the sunshine just inches from your bedroom door. 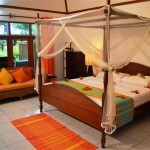 The Beach Villa accommodates three adults (or two adults and two children). The Jacuzzi Beach Villa (80 sqm) is also located on the beach, but feature the bonus of a private garden with a gorgeous Jacuzzi bathtub. Here you can let your mind wander while sipping on Champagne in the bubbles of the Jacuzzi. The Jacuzzi Villa accommodates three adults. 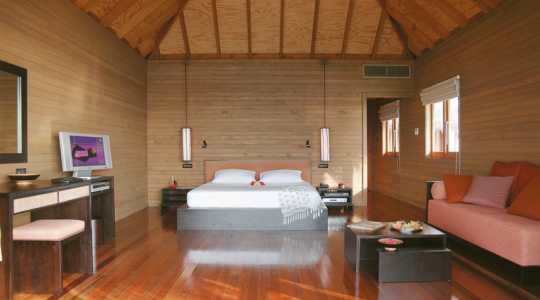 The Waterfront Villa (60 sqm) is perched on the beach at the waterfront. Your private sundeck has stairs leading directly into the sea. The uninterrupted view of the ocean makes the Waterfront Villas one of Simply Maldives Holidays’ favourite type of accommodation. 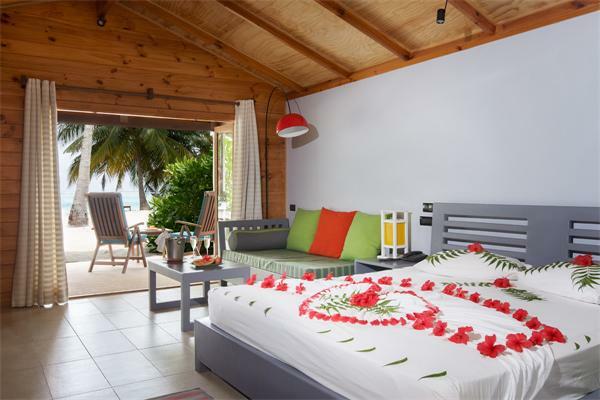 The Waterfront Villa accommodates three adults. 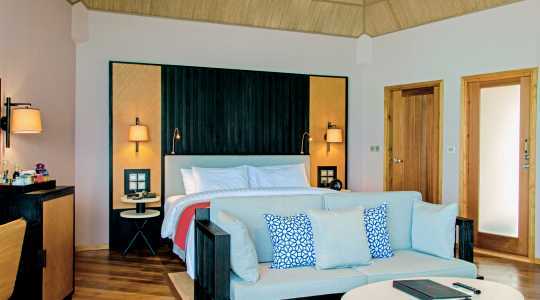 The Jacuzzi Water Villas (85 sqm) is slightly bigger than the Water Villas and include a wonderful Jacuzzi bath. Bask in the glory of the bubbles with stunning views of the Indian Ocean to truly unwind. Stylish furniture and décor make these villas ideal for a romantic setting that is not only private but will also make for the most memorable holiday you will ever have. 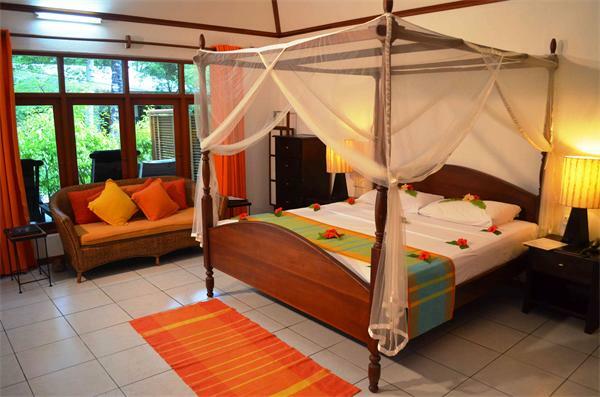 The Jacuzzi Water Villa accommodates three adults. With an impressive range of activities, facilities and entertainment offered, boredom simply does not exist at Meeru Island Resort. As the resort is set across a wide area, you will never feel that it’s too crowded. A myriad of activities is available – from water-skiing to badminton, volleyball to canoeing, 9-hole golf pitch to tennis courts… There are also catamarans and snorkelling equipment for rental, and there is a scuba diving course for you to discover the amazing marine life of the Indian Ocean. Snooker and darts are popular pastimes, as are the excursions on offer. 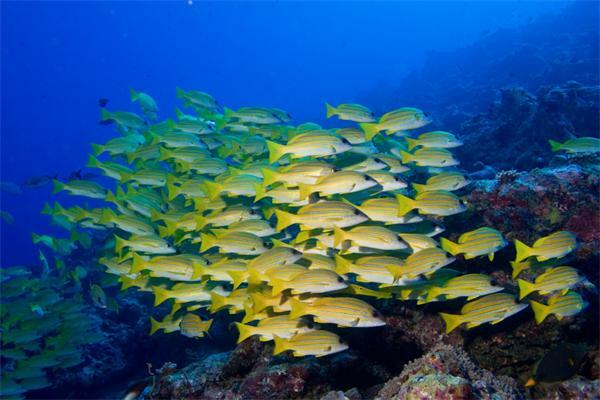 Why not head off to the southern part of North Male Atoll and go island hopping to deserted islands? There are also guided tours of the garden and a daily ‘Love Boat’, which takes love-birds on a trip around the beautiful island. Other types of entertainment include Bodu Beru Cultural Dance Show, DJ Disco, Crab Races, Divers’ Video Movie Night and a Table Tennis Tournament. From sensual massages to full beauty therapies, the Duniye Spa at Meeru Island Resort offers a deep sense of serenity and joy. The spa offers hot rock massage, deep-body scrubs and natural products that calm the mind and help nourish your body. It’s all in the name of relaxation. 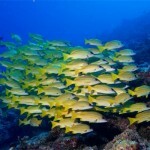 In fact, the whole island has relaxing aura about it that removes all of your every day stresses. At Meeru Island Resort there are two buffet restaurants with a wide range of culinary delights, as well as high class a la carte restaurants with cuisine from all over the world. Room service is also available if you wish to indulge in fine food in your villa. The Farivalhu Restaurant and The Maalan Restaurant offer the same delicious ‘all you can eat’ menu (which one you go to depends on your accommodation*). As these restaurants serve a wide variety of food, they please the taste of every guest. The live cooking stations is an exciting feature and the desserts are mouthwatering to say the least. On Fridays there is a Maldivian theme night and Sunday brunch comes with sparkling wine for that ultra-indulgent holiday pleasure. 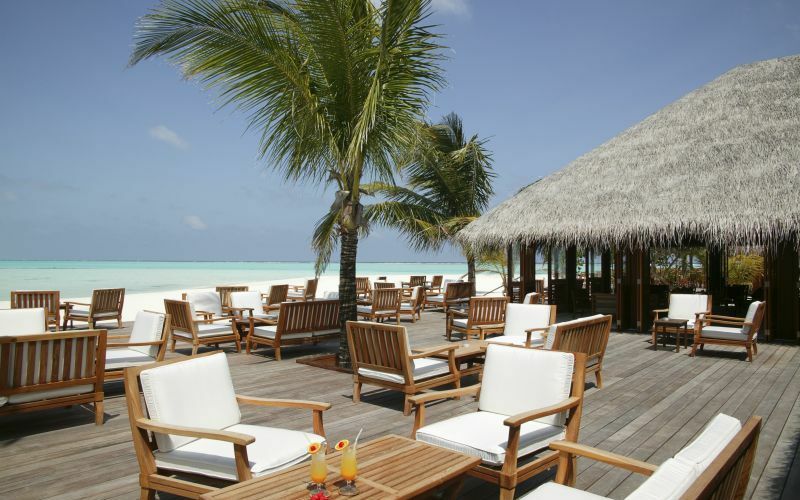 Simply Maldives Holidays recommends heading to Maalan Restaurant to enjoy the views of the stunning Indian Ocean from the outdoor deck. Asian Wok specialises in authentic Asian cuisine and is located directly over the water in the harbour on the south side of the island. The Hot Rock Restaurant is where you will experience your food being cooked on hot rocks at your table. This restaurant offers brilliant seafood and steaks prepared by amazing chefs. Meeru Café is where you will find snacks, ice cream, pastries, coffee and paninis if you get hungry in between meals. The Beach Dinner experience is highly recommended. Your own Asian wok chef will cook and deliver your food to your own secluded spot on the beach. 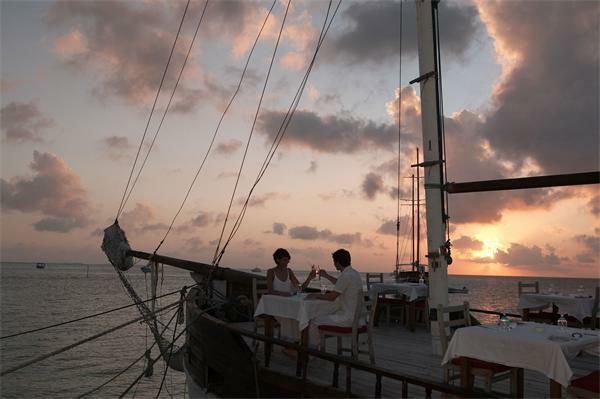 This romantic dinner will be a memory of a lifetime. 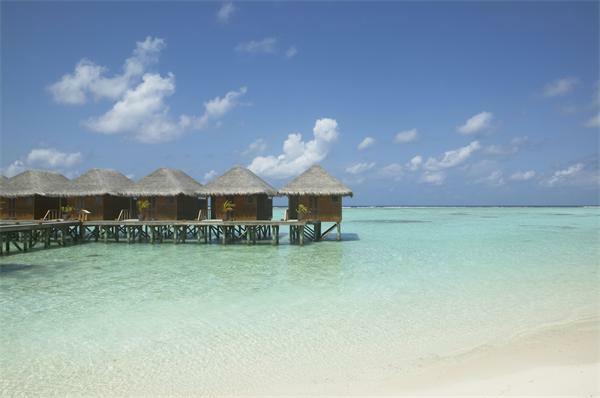 Simply Maldives Holidays offer a Full Board Package and an All Inclusive Plus Package to guests staying at Meeru Island Resort. One complimentary fruit plate, a bottle of sparkling wine and flowers in the room upon arrival.